A skillfully proportioned blend of the finest qualities of roasted, ground coffee for ESE - Easy Serving Espresso System. 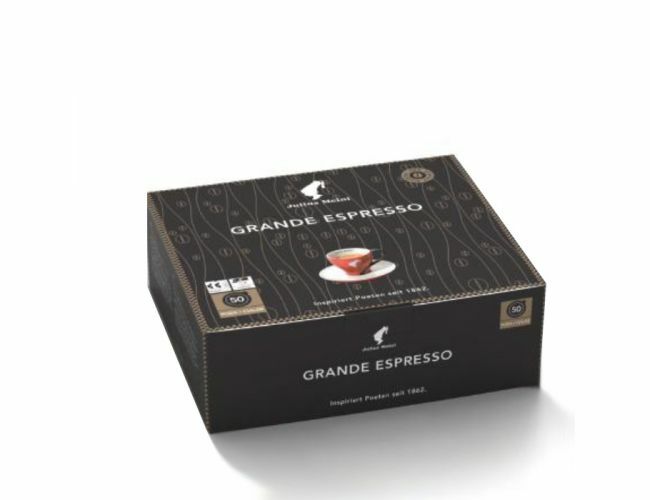 Our Grande Espresso contains high quality Arabica beans, a medium dark roast and is optimized for Espresso. Put the pod into your Espresso machine and enjoy your coffee. Each pod contains 7.3 grams of coffee which is the optimal amount for this convenient Espresso System. The filter paper is taste neutral, bleach free and environmentally friendly.